Nicknamed the "city without limits," Allentown, Pennsylvania was once a small farming community that produced the largest whole foods in the country. Today, Allentown still boasts fresh goods and flowing waterways. Its fertile landscape is home to more parks and recreational hubs than any other city of its size in the U.S. Allentown vacation packages offer you lots to do in a green community steeped in cultural traditions. Delight in the vibrant visual and performing arts as you discover the city's Renaissance architectural heritage. Roam this lively city on the banks of the Lehigh River. Get deals with Allentown packages and enjoy the city's most acclaimed attractions. From the captivating Dorney Park and Wildwater Kingdom to the stirring Allentown Art Museum and the Symphony Orchestra, this community's rich cultural past is likely to stimulate the senses. A stroll through the extensive historic district in Center City is an excursion worth taking. Don't forget to include a visit to the PPL building--the tallest building in the city--seen as far north as the Blue Mountain Ski Area. The Great Allentown Fair made its debut in 1852 and has continued to be the biggest agricultural show in town. The fair combines modern day frills with traditional elements including a carnival, petting zoos, talent shows, and concerts. The delectable farmer's market goodies are not to be missed. It's held at the Allentown Fairground, between August and September each year. Opt to stay near the event with Allentown hotel packages that fit your exclusive plans. How about craft beers, whiskey brews, and brew-inspired themed foods? The annual Fegley's Whiskey Festival is a summer event where signature brews and mingling in groups are sure to be a blast. 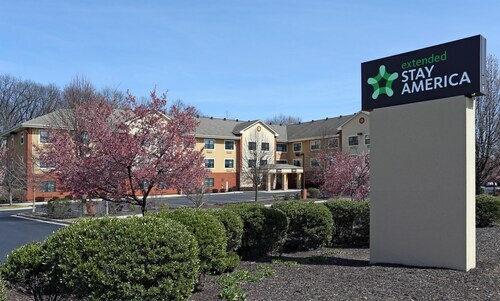 With Travelocity, you can find an extensive list of budget-friendly hotels in Allentown, and save more with mobile exclusive deals on the Travelocity app. Don't forget to rent a car in Allentown and cover the cultural grounds of this heritage-rich destination. 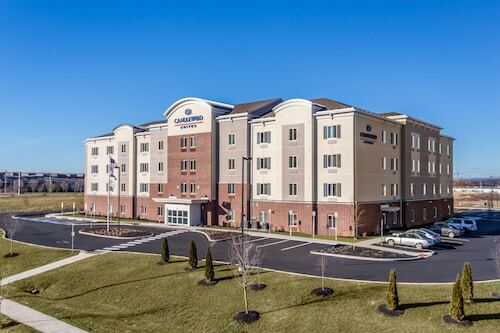 Situated in Bethlehem, this hotel is 2.1 mi (3.4 km) from Bethlehem Golf Club and within 6 mi (10 km) of Historic Hotel Bethlehem and Coca-Cola Park. Allentown Art Museum and Miller Symphony Hall are also within 6 mi (10 km). 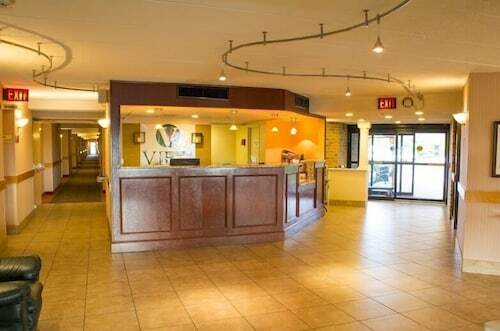 Located in the mountains, this Macungie resort offering ski-in/ski-out access is 0.3 mi (0.4 km) from Bear Creek Mountain and within 12 mi (20 km) of Macungie Memorial Park and Kutztown Fairgrounds. Da Vinci Science Center and Kutztown University of Pennsylvania are also within 16 mi (25 km).